Pearls have a classic beauty and have been used for centuries to create exotic jewelry pieces. The exquisite jewel found at the bottom of the sea is created by nature because a grain of sand irritated an oyster. The oyster reacted by coating the foreign object with a substance to make it smoother and less of a problem by coating it. 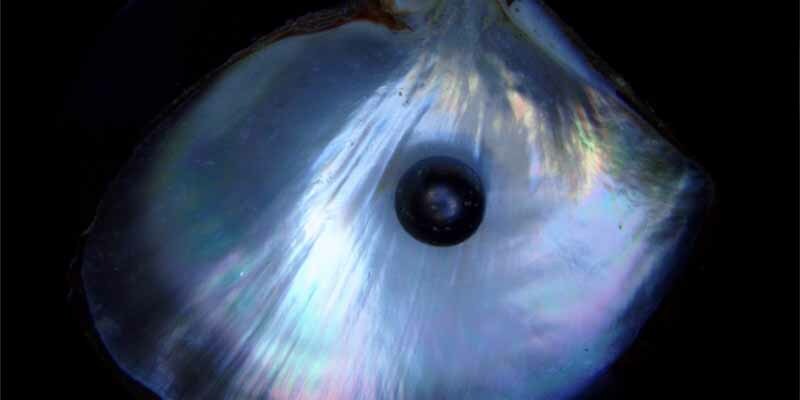 The covering on the irritant gradually increases in thickness until it eventually create a lovely pearl. There is little doubt that first pearl was discovered by someone who intended the oyster to be a meal. Natural pearls that are perfectly spherical are extremely rare and highly valued. One sure way to determine whether pearls are natural is to rub two of them together. Natural pearls have a perfectly smooth surface while cultured pearls do not, so there will be noticeable friction when they are rubbed together. Most of the pearls on the market today are created artificially on pearl farms and are known as cultured pearls. Even though cultured pearls are genuine, they are of less value than natural pearls. Whether natural or cultured, pearls are created in several shapes including, teardrop, half-round, and button with round being the most common shape. Most pearls are white with a slightly iridescent luster, but colored pearls are also available in colors including gold, pink, blue, green and even black. Pearls should be placed in the appropriate setting that will show off their natural beauty to the fullest extent, and precious metals are the best choice for natural pearls considering their value. Many settings include diamonds or other precious gems to set off the already beautiful pearls. Laguna pearl pendants are a versatile and affordable choice when it comes to purchasing a lovely piece of pearl jewelry, and there are many choices that include various colors and shapes of pearls in the settings. Very often the timeless beauty of pearl jewelry is handed down as a valuable inheritance from one generation to the next. Anyone who is the recipient of a beautiful piece of pearl jewelry should make sure to preserve its value by caring for it properly. Pearls should never be exposed to acid and only cleaned gently with warm, soapy water and a soft brush. This ensures the pearl jewelry will retain its beauty and value to be enjoyed for years by future generations.